House of Medici research papers look into the notable, wealthy and powerful House of Bankers and merchants that ruled Florence and two queens of France. In Renaissance Italy, few families were as notable, wealthy and powerful as the House of Medici. Bankers and merchants, they not only ruled Florence, but encompassed the papacy and provided not one, but two queens of France. 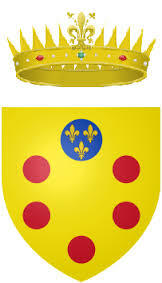 The family rose out of Tuscan obscurity, first mentioned in a historical document in AD 1230. Perhaps most notably, they were patrons for some of the greatest works of art ever produced. The political dynasty of the House of Medici began with the Medici Bank, founded in 1397 and Europe’s largest in the 15th century. The Medici Bank invented the double entry ledger system. When Cosimo the Elder took over the bank in 1434, the family’s fortunes were greatly extended, but Florentine power reached its zenith with the rule of Lorenzo the Magnificent. It was Lorenzo’s second son who became Pope Leo X, while a nephew became Pope Clement VII. All three of these men were influential patrons of the arts, sponsoring such giants as Michelangelo and Raphael. Clement VII also married his niece, Catherine de Medici to the heir to the throne of France, cementing a political alliance. Three of her sons became king of France, and she exercised considerable power serving as regent. By the beginning of the 16th century, Cosimo I “the Great” ruled all of northern Italy, but political and economic fortunes of the great family waned after his passing. Paper Masters writes custom research papers on House of Medici and look into the notable, wealthy and powerful House of Bankers and merchants that ruled Florence and two queens of France.